Having grown up in Boston, there was something about the small, quiet, welcoming community at Mount Holyoke that kept calling me. I put all of my chips in one basket and applied early decision to MHC. And I got in. When I arrived at MHC my first year, I lived in McGregor, with mostly seniors. They took me under their wing and taught me to be proactive. To ask for what I wanted. To use The Lynk early and often. To study abroad—which I did, in Montpellier, France. 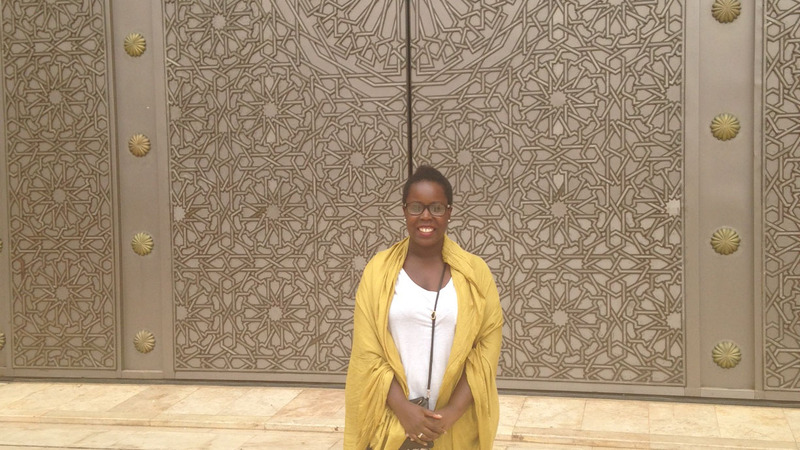 To grow in cultural and linguistic awareness, which led me to a summer internship in Casablanca, Morocco. SGA President Courtney Brunson ’16 had an idea that took me from $0 to $1,500 in short order. I made proposals to various MHC departments, to deans, and to the president’s office. Students can apply for MHC funding via these campus channels. They need to persuasively demonstrate that their passions tie back to academic and professional interests. Soon it was time to go to London. All of my effort and hard work got me there. I felt confident arriving at an unfamiliar place and excited to learn about the unknown. The WOW weekend event drew people from all parts of the world. There were amazing keynote speakers, but my main focus was the panel proctored by Ensler, called “Bodies of Revolution.” It focused on intersectionality, which involves ideas of economics, politics, ethics, and many more, and how there is an inequality in so many aspects. This is especially true in countries with limited resources. 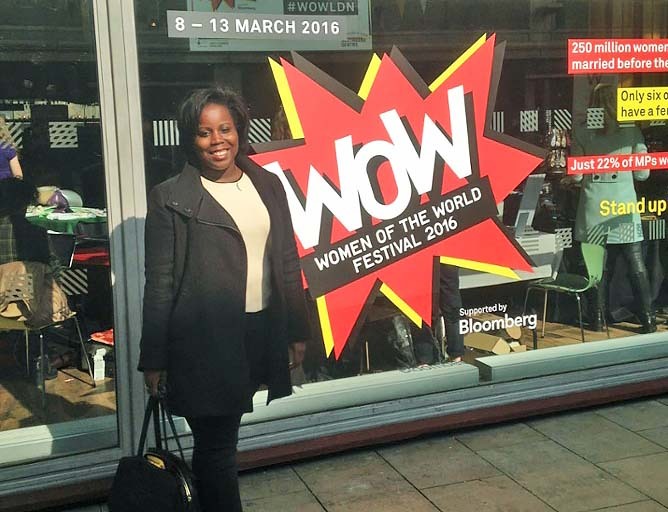 The panel demonstrated how in most scenarios, women are forced to stay in a place where they feel they do not belong because of different kinds of personal debt. This may happen when a woman is forced into marriage, sold out for prostitution by her parents, or forced into another form of labor. This is modern-day slavery. The panel also reinforced how when women join together as one sisterhood, a lot can be accomplished. 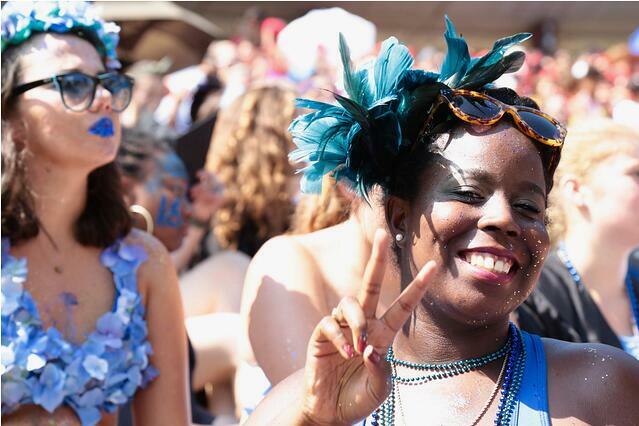 For me, I have felt this sisterhood every step of the way in my journey here at Mount Holyoke. 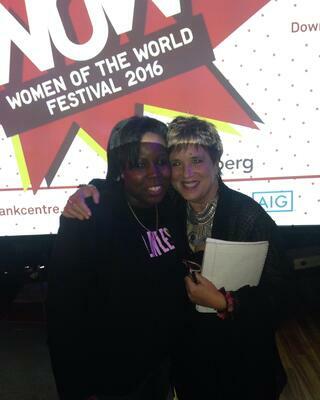 Photo of Evelyn Perez-Landron ’16 with Eve Ensler. 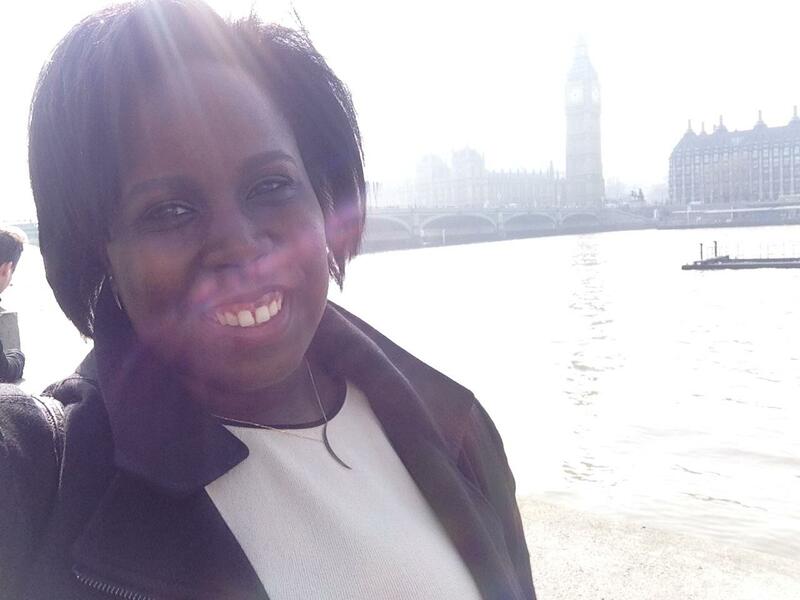 As I begin my new journey at Accenture after graduation, I do so with an incredible amount of confidence. And dreams: I’m hoping to work in other parts of the global community and connect with many new people—and MHC alumnae—along the way. Now I understand why Mount Holyoke was calling my name: the College recognized my boldness and the beautiful things that I am capable of. It was a bold choice and I trusted my instincts. Four years later, I remain convinced that MHC was the right choice for me.